Wilko Johnson, guitarist and founding member of Dr. Feelgood, kicks off his new UK wide tour at the Edinburgh Caves on Thursday September 15th. The band will comprise Wilko plus Norman Watt-Roy (bass), and Dylan Howe (drums). 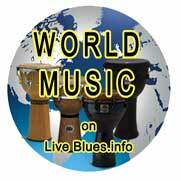 Special guest is award-winning blues guitarist/singer Ian Siegal who will perform solo. 24 Hour Box Office: 0871 230 1101, www.seetickets.com. 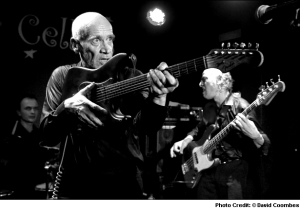 In 1971, Wilko first made his name when he formed Dr. Feelgood; a British pub rock band from Canvey Island, Essex. Known for their electrifying concerts, their first two albums, Down by the Jetty (1974) and Malpractice (1975), were immensely popular. In 1976, their live album, Stupidity went to No.1 in the UK’s official album chart. By the time Dr. Feelgood released their fourth album, Sneakin’ Suspicion (1977), Johnson left the group and to pursue a solo career, that included a spell with Ian Drury and the Blockheads in 1980.